CerTest Yersinia enterocolitica O:3+O:9 one step combo card test is a coloured chromatographic immunoassay for the simultaneous qualitative detection of Yersinia enterocolitica serotypes O:3 and O:9 in stool samples and Yersinia suspected colonies in stool culture. 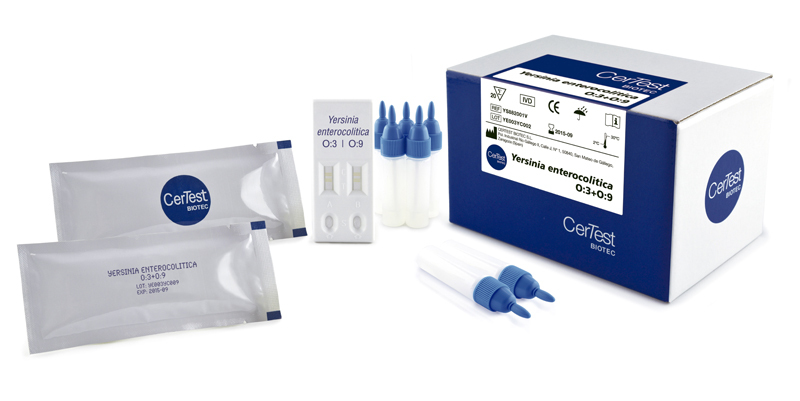 CerTest Yersinia enterocolitica O:3+O:9 combo card test offers a simple and a highly sensitive screening assay to make a presumptive diagnosis of Yersinia enterocolitica O:3 and/or Yersinia enterocolitica O:9 infection and it could be used to serotype of suspected isolates of Yersinia enterocolitica O:3 and O:9 from selective media (stool culture). Yersinia enterocolitica (Y. enterocolitica), a Gram-negative, oxidase-negative, and facultatively anaerobic species, is highly heterogeneous and can be divided into several bioserotypes, only a few of which are known to associate with human disease. Six different biotypes (biotype 1A, 1B,2-5) and numerous serotypes of Y. enterocolitica have been described. Eleven of those serotypes have frequently been associated with infections in humans. Most Y. enterocolitica strains associates with human yersiniosis belong to bioserotypes 1B/O:8, 2/O:5,27, 2/O:9, 3/O:3and 4/O:3. Yersinia enterocolitica is a common pathogen for both humans and animals.  Infection with Y. enterocolitica can cause a variety of symptoms depending on the age of the person infected. The predominant clinical feature is abdominal pain and diarrhoea with or without fever. Arthritis and erythema nodosum are common complications. Infection with Y. enterocolitica occurs most often in young children. Common symptoms in children are fever, abdominal pain, and diarrhea, which is often bloody. Symptoms typically develop 4 to 7 days after exposure and may last 1 to 3 weeks or longer. There is indirect evidence that foods particularly pork products, are important sources of human infections.